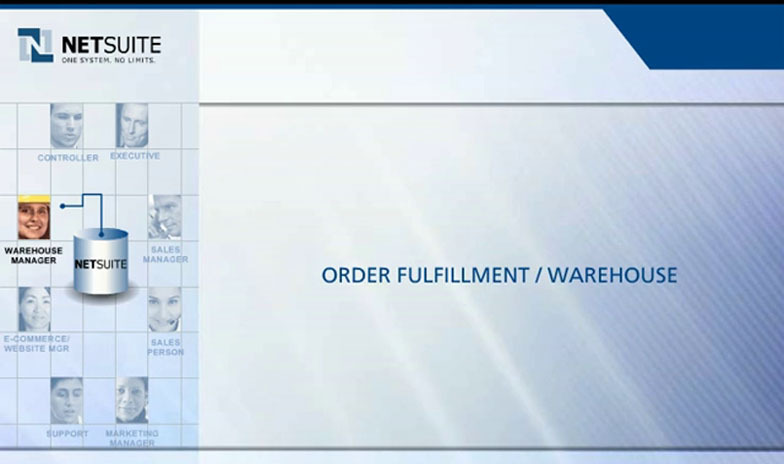 NetSuite Order Fulfillment is the keystone link between the customer-facing CRM, e-commerce, and back-office operations. Mark Grogan, in sales, has entered an order. Because NetSuite CRM is seamlessly integrated with back-office ERP, once the order is processed, Mark’s manager immediately sees an order to approve on his real-time dashboard. With visibility into each order, management can ensure that all deals coming through the pipeline are handled appropriately. When Krista Barton, the Warehouse Manager, logs into her dashboard and views the order to pull from inventory, she can print the label from the order record and have it packaged for delivery. With seamless shipping integration, items can be scheduled for pick up with shipping numbers automatically tied to the order in the system. Once the order has been shipped, Tim in Accounting immediately receives a notification of invoices to send out to customers. With one click, an invoice is emailed to Jennings Financial who can choose to make payments online through their customer center. Alternatively, their credit card can be charged. In this way, real-time reminders facilitate your business processes. Find out how NetSuite ties your customer-facing and back-office teams together to serve your customers better.